Today I am checking out two new offerings from AUKEY. 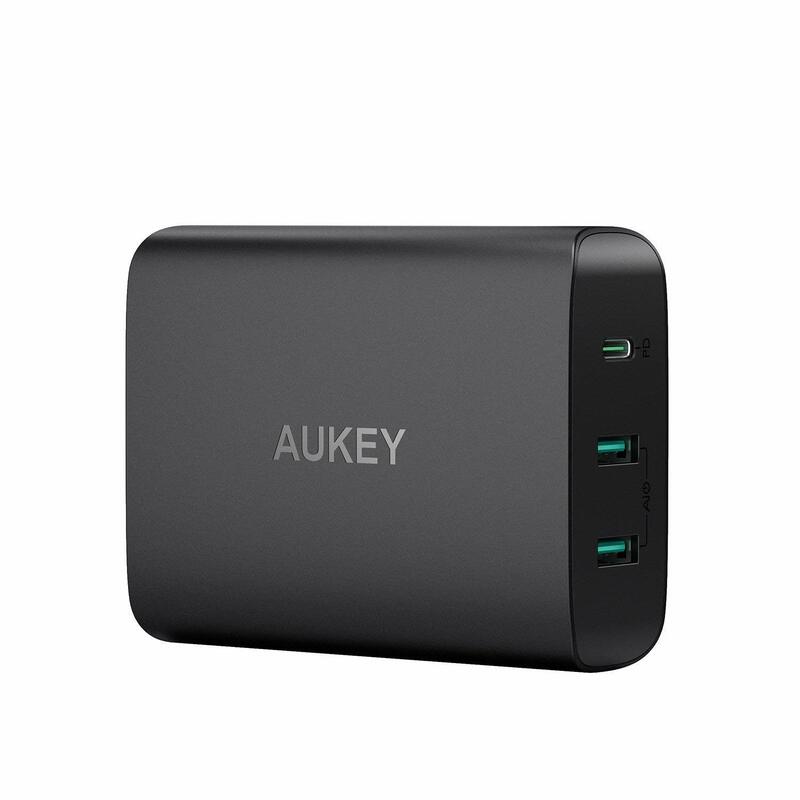 Their 27W USB C Charger and 60W Power Delivery 3.0,12W Dual Port USB Charging Station. Both are excellent choices for anyone with a newer device such as a MacBook Pro or Nintendo Switch. This three-port USB charging station can output a total 72W of power, meaning I can comfortably charger 3 devices at the same time, including my Switch and Macbook. This makes charging convenient and also incredibly future-proof, as I am covered for the next couple of years of smart devices. 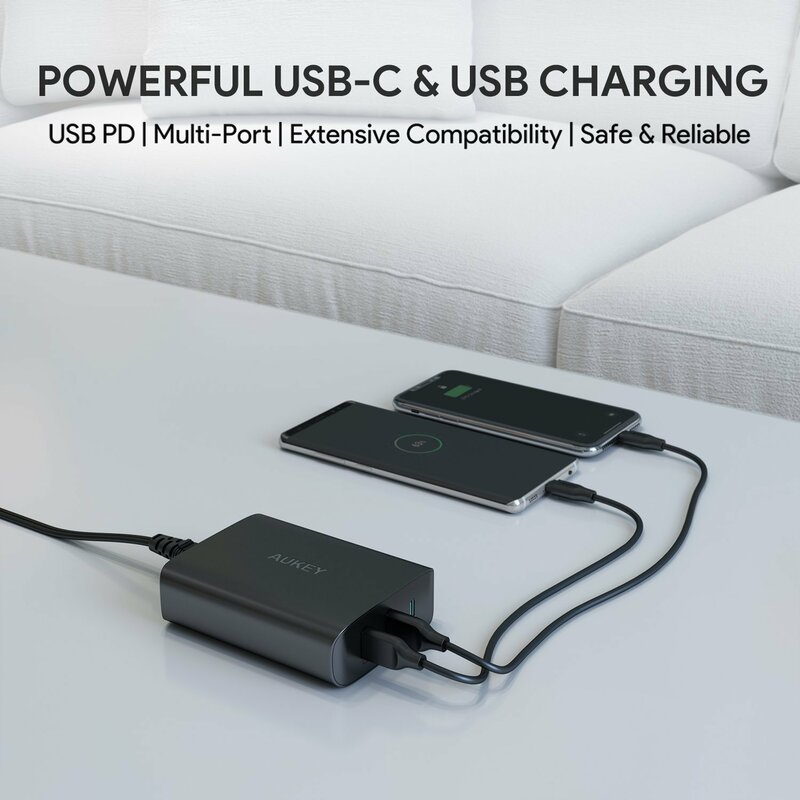 USB Power Delivery is a new standard that dynamically negotiates power output over a USB Type-C connection to safely and efficiently recharge any device you throw at it. I was able to fast charge the new iPhone X to 50% in around 30 minutes, and then use the same Power Delivery port to charge my MacBook Pro at full speed. I was amazed at the extensive compatibility this charging station delivered. 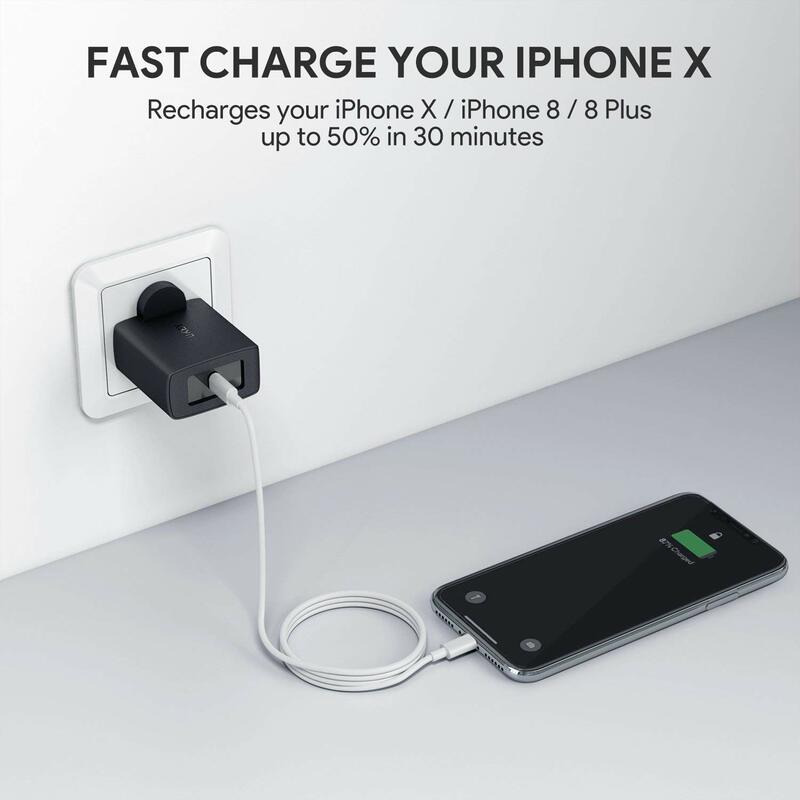 It’s designed to work with almost all USB-powered devices including USB-C laptops, tablets, iPhones, Android phones, wireless speakers & headphones, e-readers, wearables, and photography gear. Whatever USB-powered gear you’ve got, they have you covered. 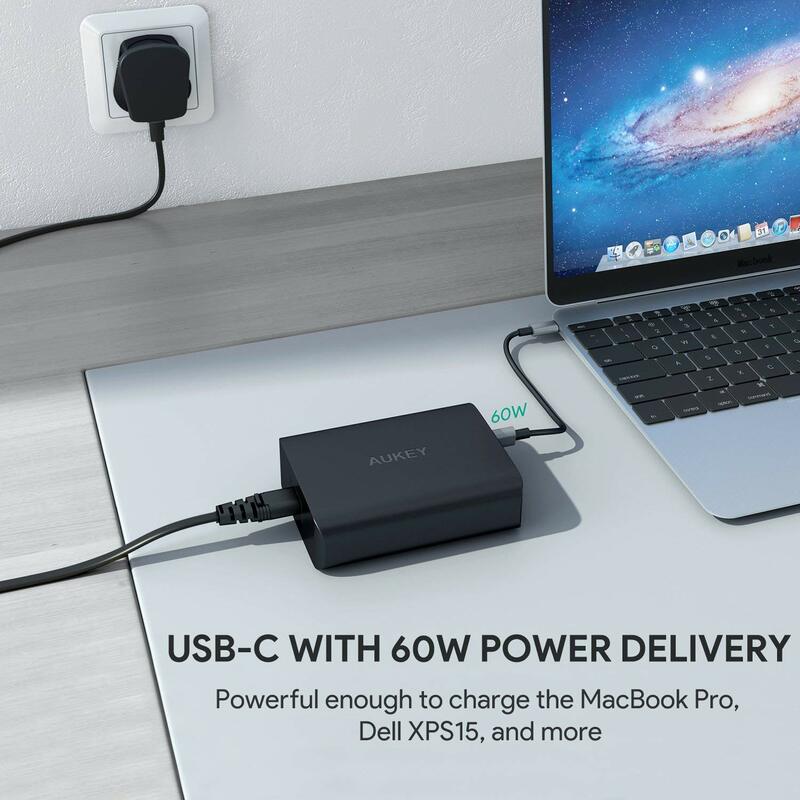 This single USB-C Plug uses USB-PD, which enables compatible devices to charge faster at higher voltages. 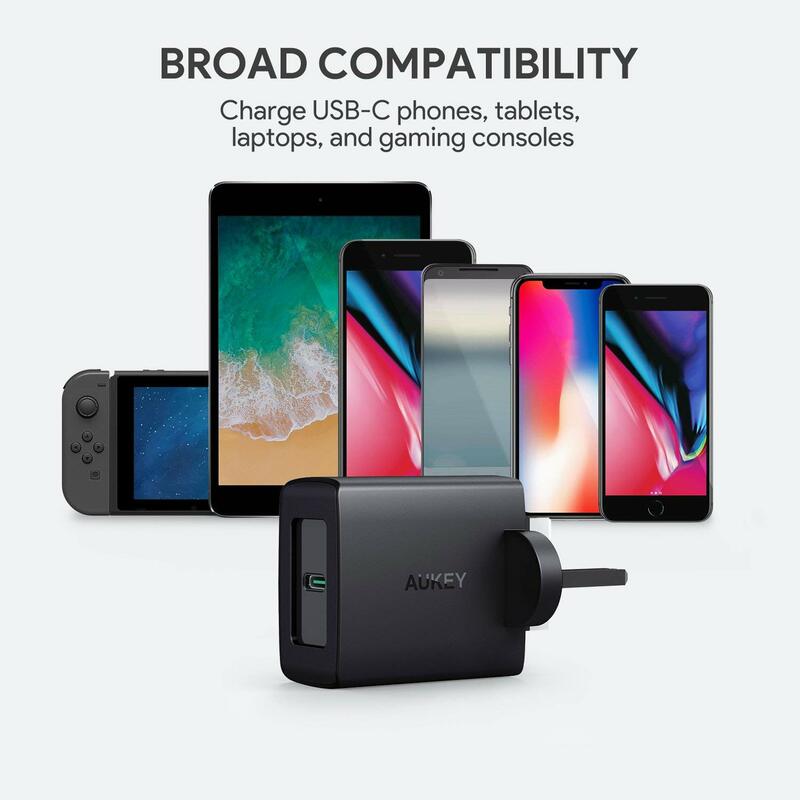 The PA-Y8 also charges USB-C devices that do not support Power Delivery at up to 5V 3A. 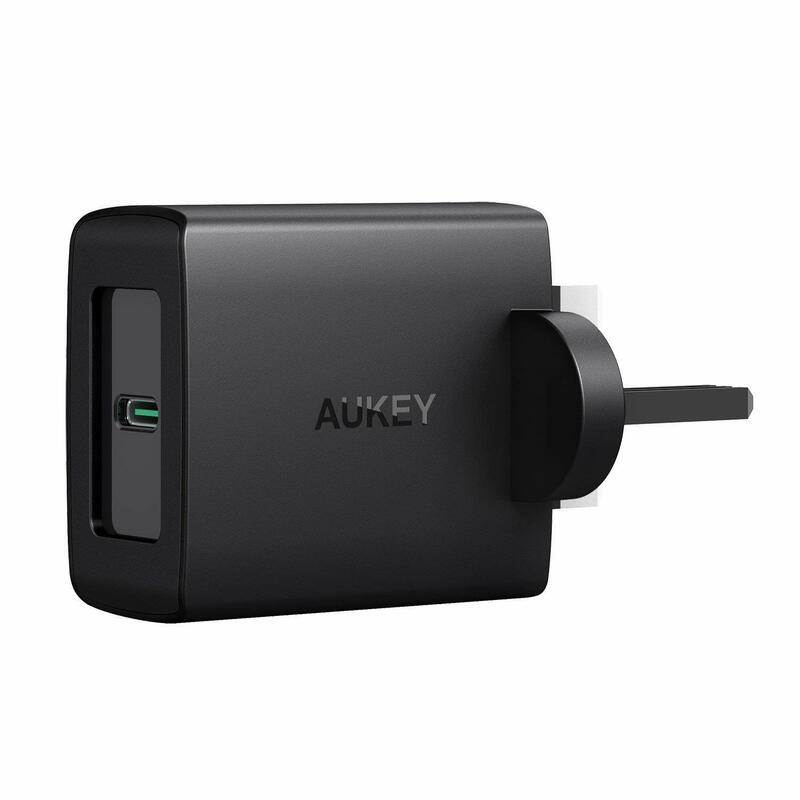 Aukey uses Intelligent Negotiation for Optimum Voltage to provide compatible devices with fine-tuned, adaptive power output and more optimized charging cycles. 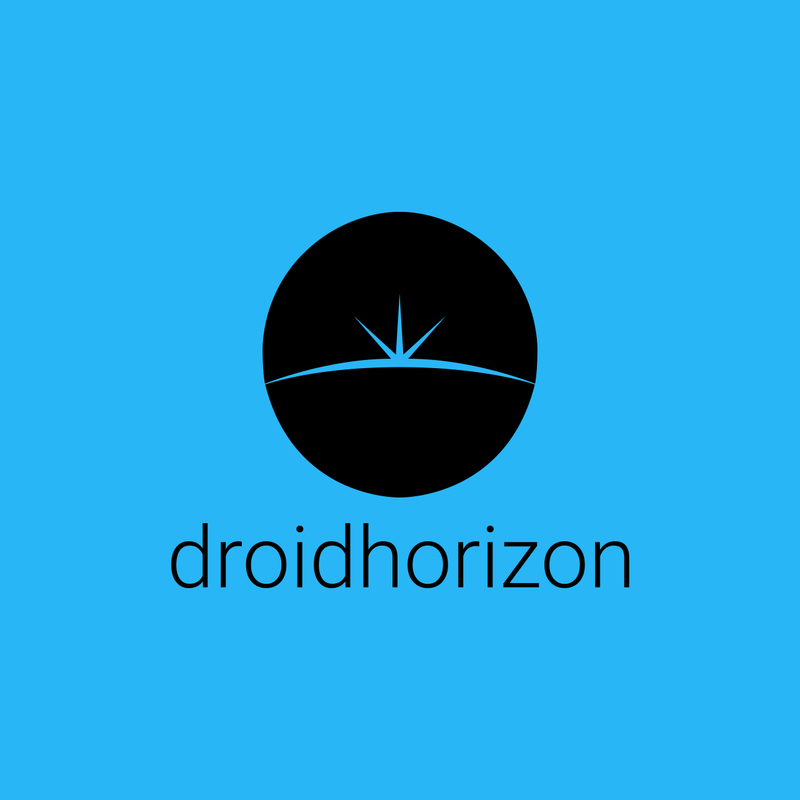 The result is less heat generated during charging and less stress on your device’s battery. I loved the design of the PA-Y8, it’s sleek and small, making it perfect to travel with. It also has a matte black colour which makes it look cool. There are advanced circuitry with built-in safeguards to protect your devices against excessive current, overheating, and overcharging.